Amazing views! At the end of the pier in Avila Bay, this classic fish house serves a cioppino that will knock your socks off! Fresh rock cod, shrimp, cockle clams, calamari and scallops are combined with a blend of leeks, onions, garlic, tomatoes, saffron and herbs, served in a spicy broth, topped with freshly grated parmesan. Order a glass of wine and gaze across the water on all sides through large bay windows or through the glass window in the floor. 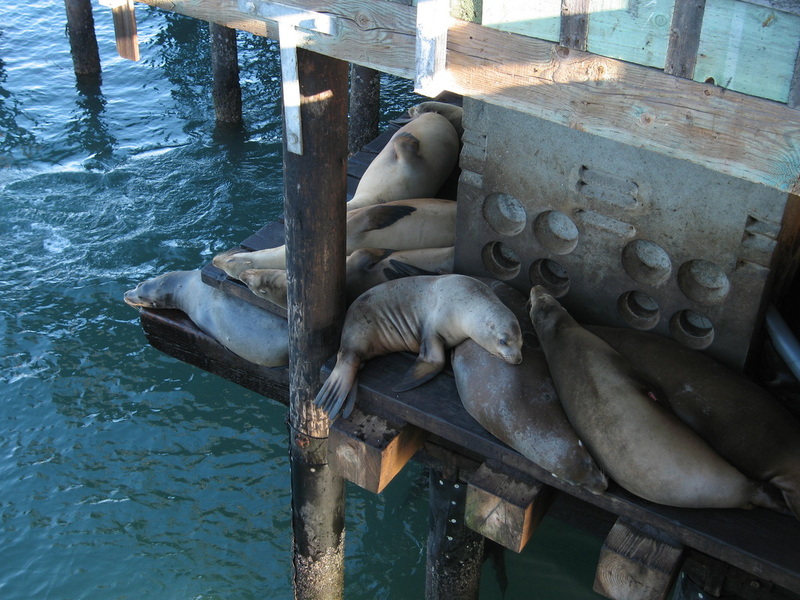 With barking seals for company, you can ponder the wonders of the universe as you watch local fishermen fight off pelicans while unloading their catch. With fish this fresh, the best choice is often the catch of the day, so fresh it practically leaps onto your plate. 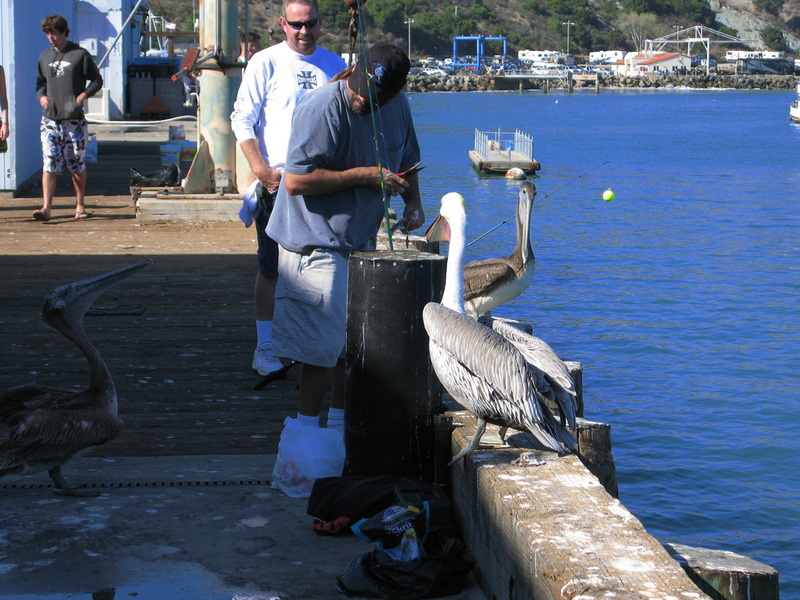 Pelicans beg for fresh fish scraps on Avila Bay pier. Sleepy seals nap underneath the Olde Port Inn.